Bidding to end of run of six successive defeats, McKenna said: “We have a team to give it a really good shot and I don’t see why we can’t win back the trophy. 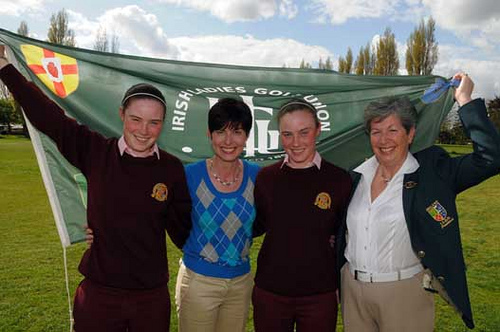 The 15 year old Maguire twins will become the youngest players to tee it up for GB&I since the Curtis Cup began in 1932. And while GB&I haven’t won the title since Ireland’s Ita Butler mastermind victory at Killarney in 1996, Dubliner McKenna reckons she has the side to pull it off. McKenna said: “The Americans always have a very good side but we have quality and anything can happen in matchplay. “We have a smashing team and the Maguire twins are out on their own. They are class players and even though they are only 15, they have loads of experience at the top level and they won’t be fazed too much by the Curtis Cup. “Danielle is the oldest player in the team at 22 but she is absolutely top drawer and she can only improve. 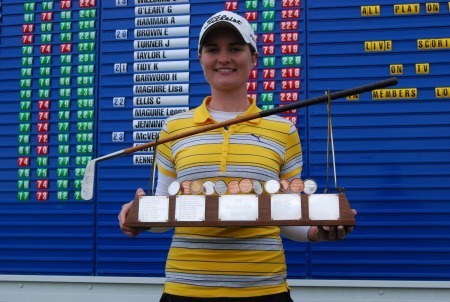 “She won the Helen Holm on Sunday and last year’s British Strokeplay by coming from behind and that’s the kind of mental strength you need in a Curtis Cup. Stephanie Meadow from Royal Portrush is one of four reserves. GB & I Curtis Cup team: Hannah Barwood (Eng), Holly Clyburn (Eng), Rachel Jennings (Eng), Leona Maguire (Irl), Lisa Maguire (Irl), Pamela Pretswell (Sco), Danielle McVeigh (Irl), Sally Watson (Sco). 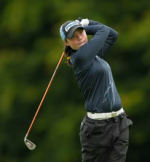 Reserves: Kelsey Macdonald (Sco), Stephanie Meadow (Irl), Charlie Douglass (Eng), Amy Boulden (Wal). Captain: Mary McKenna (Irl). Manager: Tegwen Matthews (Wal).